SpaceX is in the business end of the processing flow for its next mission with the launch of the Koreasat 5A satellite. 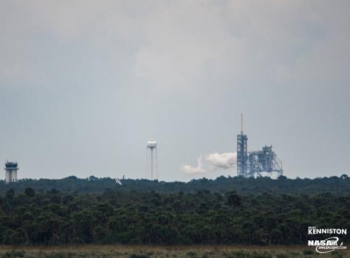 The launch is scheduled to take place on October 30 from Kennedy Space Center’s 39A. 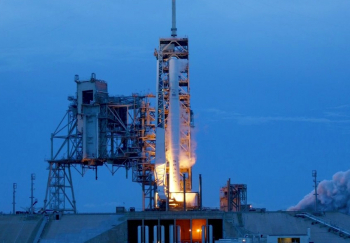 The key milestone toward officially setting this launch date was the Static Fire test, which took place near the opening of a long window that opened at midday on Thursday. SpaceX is returning to launch action following the successful launch of the SES-11 satellite from 39A, as the company pushes forward with its increasing launch cadence. One of the primary elements to ensure the rocket is ready to go for its upcoming missions is the Static Fire test. The Static Test provides a dress rehearsal for the actual launch, both for the rocket and the launch team, with a series of milestones contained within the test, such as rollout, erection, power on, followed by controllers conducting a poll to allow for the loading of Falcon 9′s RP-1 propellant with liquid oxygen oxidizer. This is followed by fuel and Thrust Vector Control (TVC) bleeding on the second stage, ahead of entering the final polling to enter the terminal count. Per the countdown procedures, the tasks then enter the terminal followed by the launch vehicle being transferred to internal power. The Flight Termination System (FTS), used to destroy the rocket in the event of a problem during an actual launch, is armed three minutes and eleven seconds before launch – to ensure the system is working ahead of the launch day – and oxidizer topping is concluded. Pressurization of the propellant tanks follows, and while a Wet Dress Rehearsal (WDR) – which is no longer required for the Falcon 9, but will likely return ahead of the first Falcon Heavy flow – would have concluded the test at around T-5 seconds, the Static Fire continued the count through to ignition. A short burst of the Merlin 1D engines on the core stage of the F9 – 3.5 seconds for this flow with a new booster – will then take place, which allows for validation data to be gained on the health of the vehicle and pad systems. 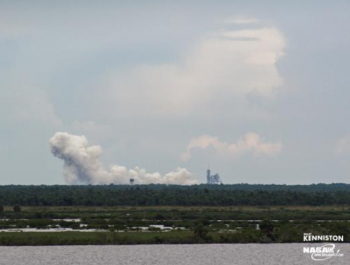 The window for the Static Fire ranged from midday Eastern through to 6pm Eastern. 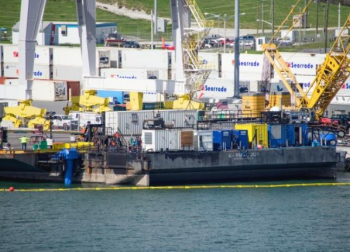 With the required engine and vehicle data collected – allowing for a “Quick Look” review, SpaceX tweeted a “good test” confirmation – detanking operations follow for the rest of the day, followed by the lowering on to the Transporter Erector and rollback to the hanger. A Launch Readiness Review (LRR) expected to take place in the coming days, which then officially sets the launch date. The current target is October 30, with a window of 15:34 through to 17:58 Eastern. This booster will be tasked with lofting the 3,500 kg satellite into a Geostationary Transfer Orbit. The Thales Alenia Space-built Koreasat 5A satellite is based on the Spacebus 4000B2 platform and its Ku-band transponders will provide coverage to Korea, Japan, Indochina and the Middle East from its orbital home at 113° East. 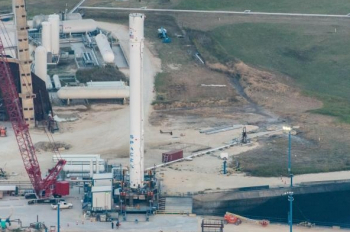 The booster will be attempting a landing on the SpaceX drone ship “Of Course I Still Love You”, which is nearing the end of repairs following a post-landing incident with the booster that successfully launched the SES-11 satellite. While the touchdown was nominal, a post-landing incident resulted in a short fire at the aft of the ship, which also damaged the robot that was to be used to secure the booster. The fire was quickly extinguished. The drone ships are designed to cope well with such incidents, not least during the early days of the landing tests which often resulted in “Rapid Unscheduled Disassembly (RUD)” events, as Elon Musk called them. Every landing attempt since – bar the Eutelsat 117 West B and ABS-2A dual payload launch in 2016 – has resulted in the booster making it back home intact. The touchdown of B1031.2 during the SES-11 mission was the 18th landing success.